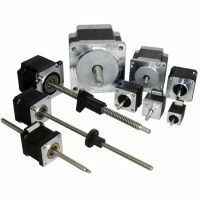 Lexium MDrive® (LMD) products with electric cylinder integrate a 1.8° 2-phase stepper motor, drive electronics, and inline mounted captive shaft electric cylinder. For applications operating in harsher environments, feel confident with independently certified IP65 products protecting your system from water and dust. MDrive products integrate motor, driver, controller, internal encoder and closed loop performance, all in one compact package. 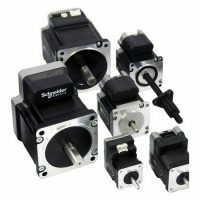 Motors integrated with motion control components for compact solutions. 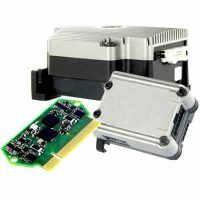 Discrete drives and controllers for PCB and panel mounting. Precision rotary and linear stepper motors in NEMA sizes ranging from 11 to 34 (28 to 85 mm). See how Schneider Electric Motion USA products are used across a range of application and industries. SEM integrated motor products support multiple industrial network including Profinet and EtherNet/IP. Discover how SEM integrated motor products provide innovative solutions to challenging customer applications. Lexium MDrive rotary and linear integrated motor products – now with multi-turn absolute encoder in the same compact footprint. Visit SEM USA at booth #9137 April 8th through the 11th to see demos of our latest absolute encoder and upcoming integrated electric cylinders. Access the News Center for the latest releases, articles and trade show schedule.